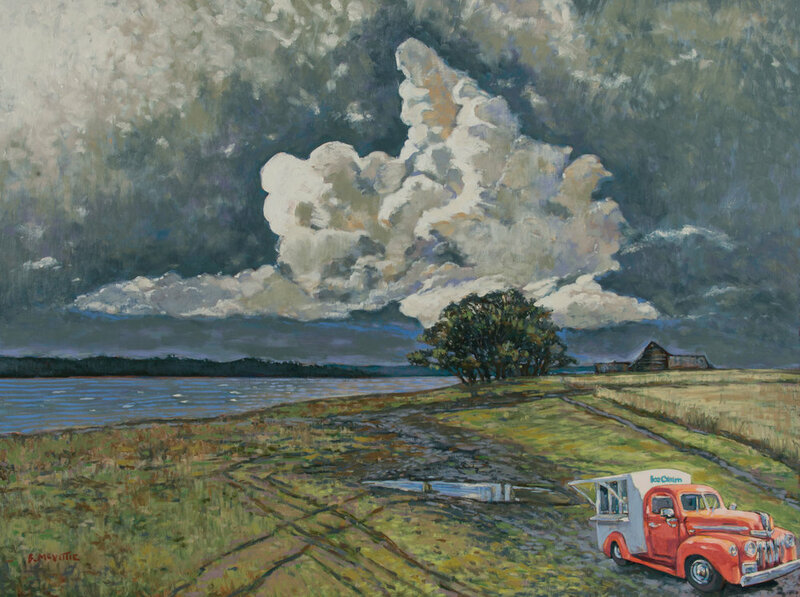 This solo exhibition by Ottawa artist Brandon McVittie sets out to present the many facets of his established career as a genre painter. The collection will feature allegorical compositions, classic landscapes, and nods to his accolades as a historical and wartime painter. This body of work is comprised of subjects rendered to emulate the spirit of vintage oil painting while having distinctive contemporary accents. Within genre painting: allegories, pastoral landscapes or historical commemorative compositions, I aim to convey an authentic sense of the past. I strive to capture an essence of mood lighting and atmosphere that feels dated. It has been my consistent, evolving approach to meld this homage with an expressive rendering style. My oils are produced in the present but are anchored in the past. I paint with an antiquated colour palette, employing earth tones and muted hues typical of those used over a century ago. My line and brushwork, however, infuse stylized, painterly overtones. This retro-inspired collection showcases a range of scenic landscapes and figurative genre pieces that harken back to a past era as I perceive it while I am working at my easel in 2018. Artist Reception: Thursday, July 5th from 5:30 to 7:30pm, a benefit for iSisters Technology Mentoring. Please join us for the opening reception to toast Brandon's new collection and raise awareness for iSisters Technology Mentoring, a local charity whose mission is to create and deliver technology programs at no cost to learners because they believe in equipping women with the skills and confidence to participate fully in their community.